The room that I used as a study at the house in Bristol faced across the road, and the angle of the window meant that, when the sun was shining, I had to draw the curtains to see what I was doing. The space that I am currently using as a study in my new flat is in what I am calling The Big Room. It is, in fact, three rooms, in that I am using one end of it (the end with the serving hatch[i]) as a dining room; the other end (the end with the view of the sea) as a sitting room; and part of the dining table as my office. Soon, a New Desk will arrive, and I will move my office-related things into the imaginatively-named Small Room, with its view of the other side of the street. This room is currently filled with books, the remaining packing, and approximately forty empty cardboard boxes, which form three co-dependent, silently tottery Towers of Babel. I do not like working at my dining table. The chair was not designed to be occupied for long periods of time and the table is too narrow to accommodate everything I like to have to hand when I work (calculator, invoice book, nice pen[ii], nasty pen[iii], cup of tea, in tray[iv], out tray[v], filing tray, pending tray and a stamp that says ‘I DON’T HAVE TIME TO READ THIS CRAP’)[vi]. 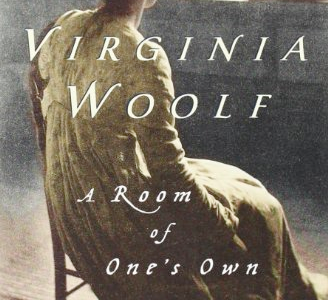 Virginia Woolf’s thoughts on having a room of one’s own and an independent income (people so often forget that she made it clear that both of these things were necessary in order to write) are relevant here: I do have a room of my own, where I think I can work quietly and well, but no space for the desk that I also don’t have and certainly nothing approaching an independent income. My study at the house in Bristol was at its best as a place to work when the weather was bad. There was no glare from the sun, and the large window overlooked the road, allowing me to observe the weather from a place that was warm, dry and smug-making. ‘Look at all those people commuting to work,’ I used to think to myself, watching cars slither about in the snow, or buses surging up the hill carrying grey-faced people to jobs that they clearly hated, or hail pinging off the glass as my neighbours struggled into their cars, coats clutched around their faces. ‘Working for myself is the best thing ever,’ I concluded, toasting the unfortunate commuters with a cup of strawberry tea. The Big Room has an enormous bay window[vii] that looks out over the sea. Between the flat and the sea is the esplanade, affording me an unparalleled view of fat people spending their holidays walking unsteadily up and down the sea front, shouting at their chubby, unfortunately-named children[viii]. Today, the sea is brown and fretful, the colour of hot chocolate from an airport vending machine, flecked with creamy froth and full of sand. The wind is whistling around my building in a strange, mournful harmony and the ropes for the flags on Britain’s shortest but very patriotic pier are twanging noisily against the flagpoles. The wind is strong enough to cause the Victorian lampposts to jiggle alarmingly from side to side and every so often a wave breaks so vigorously that it sprays up over the sea wall, across the esplanade and into the road. Seagulls, of which there are thousands, seem to enjoy hanging in the air as if attached to a badly-made mobile, more or less on a level with my bay window, not going anywhere in particular, just bobbing up and down in a ragged line, apparently for lack of anything to peck. In other words, the view from my new window is a constantly changing, constantly interesting thing. It is considerably more interesting than my current piece of paid work (proofreading The Dullest Thesis In The World), which makes it even more important that I get into the Small Room with its far less distracting view with all speed. [i] A serving hatch. It has two adorably tiny white doors with handles and is my favourite thing in the flat. [ii] For writing invoices to other people. [iii] For writing notes to myself. [v] Labelled ‘Outré ’. It’s important to remember that I don’t share an office anymore, and therefore can be exactly as unfunny as I like. [vi] M bought me this and I kept it in my desk at the university for years. I lost count of the number of time I reached for it, thought hard about words like ‘unprofessional conduct’, ‘starving to death’ and ‘final demand’, and pushed the drawer back in again. Now that I can use it whenever I like, the only occasion on which I have actually *wanted* to use it was to stamp an email I received from the university. The only reason I didn’t stamp it was that I would have had to print it out in order to do so, and I pay for my own printer cartridges these days. Instead, I gave my laptop the finger. [vii] Seriously. It’s about six feet across and four feet deep. You could get a sofa in it. [viii] ‘Caven! What did I tell you about poking that seagull with your icecream? And give Kee-Antee back her chips!’. I want to say that I invented this horrible spelling (as if ‘Chianti’ wasn’t awful enough as a name for a podgy five-year-old girl in a T-shirt with a princess on it), but I’m afraid she was also wearing a pink rucksack with her horrifying name printed on it in silver letters.